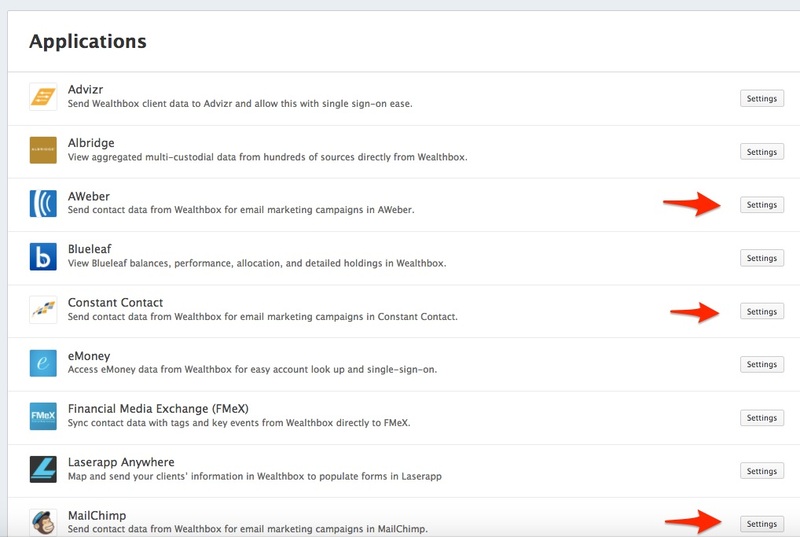 How do I integrate my MailChimp, Constant Contact or AWeber account with Wealthbox? 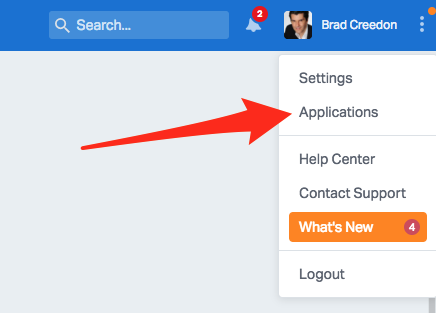 You can integrate your MailChimp, Constant Contact and AWeber accounts by navigating to the appropriate settings page within the “Applications” page and entering your logon credentials. The integration exports First name, Last name and email address from Wealthbox. If a contact has multiple email addresses in Wealthbox, it sends only the one checked as primary OR the first email address listed if no email is marked as primary.